The Texas Veterans Land Board (VLB) is excited to share aerial video footage of forfeited land tracts from our Type II Forfeited Land Sale that are available to any eligible Texas resident for purchase. While every VLB forfeited land tract has still photos, plat maps and Google map links, we thought it would be even better to have a bird’s-eye view of each tract to truly get the lay of the land. These videos show five land tracts for sale in Comal County, which is part of the legendary Texas Hill Country, know throughout the world for it’s unique and pristine beauty. Comal County’s total area consists of 575 square miles, of which 559 square miles is land and 15 square miles is water. The Balcones Escarpment runs northeastward through the county and to the west are the rocky hills and canyons of the Texas Hill Country. To the east are the rolling grasslands of the coastal plains. The Guadalupe River flows southeastward through the county into Canyon Lake and the Comal River rises from the Comal Springs in New Braunfels to connect with the Guadalupe River. 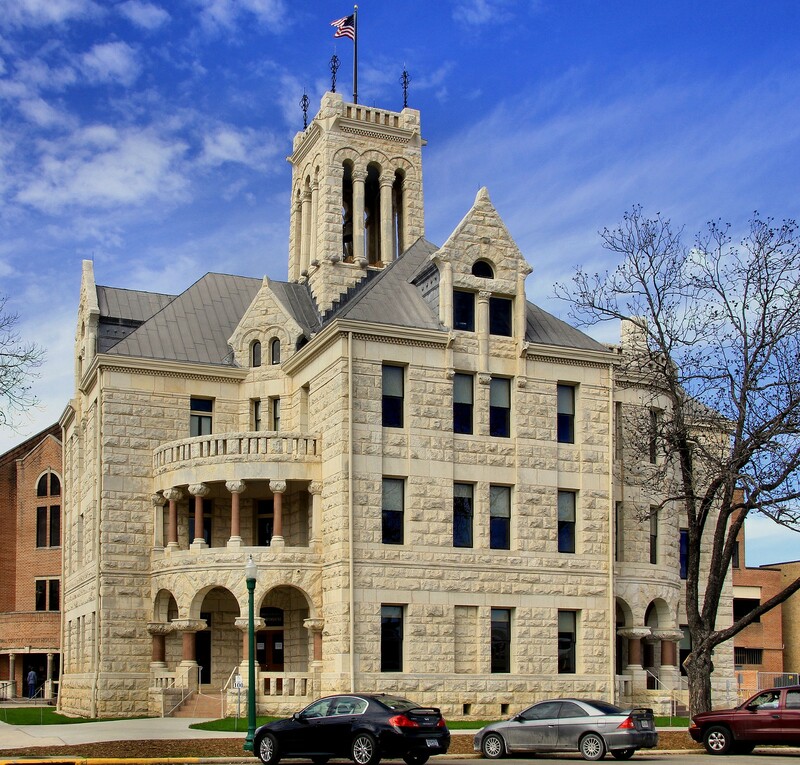 Comal County is located on the Edwards Plateau and as of the 2010 census, its population was 108,472. Its county seat is New Braunfels. Comal County is also home to the famous Natural Bridge Caverns, discovered in 1960 by four students from St. Mary’s University San Antonio. Some of the cities and towns in Comal County include New Braunfels, Schertz, Bulverde, Garden Ridge, Gruene, Garden Ridge, and Spring Branch. Adjacent counties are Blanco, Hays, Guadalupe, Bexar and Kendall. Tract #14088 is 1.03 acres and is not in a flood plain. The tract is lot 1698 in a cul-de-sac in the Mystic Shores Subdivision and the physical address is 417 Eider Cove, Spring Branch, Texas, 78070. Tract #14451 is 3.61 gorgeous acres north of the Guadalupe River and northwest of Canyon Lake in the Mystic Shores Subdivision. The physical address is 345 Vista View Place, Spring Branch, Texas, 78070. The Mystic Shores community consists of 7,000 acres with 2,200 homesites and 460 completed homes. Public schools in the area include Rebecca Creek Elementary School, Mountain Valley Middle School and Canyon Lake High School. There are also several private schools nearby in New Braunfels, San Marcos and Wimberley that include Pre-K all the way through 12th grade. Tract #14332 is 1.05 acres and is not in a flood plain. It has a physical address of 1783 Mountain Springs, Canyon Lake, Texas, 78133, and is part of the Highlands Division of the Mountain Springs Ranch Property Owner’s Association. This lot is a short one and a half miles away from Smithson Valley Middle School and two and a half miles away from Smithson Valley High School. A serene 85-acre nature preserve is open to all property owners in the Mountain Springs Ranch community from sunrise to sunset. There are hike and bike trails, picnic tables and a pond for all residents to enjoy. Mountain Spring Ranch also has a pool complex with three refreshing pools and a playground that are open all year around. Tract #14642 is 1.06 acres just west of New Braunfels in the Copper Ridge Subdivision. The physical address is 6021 Keller Ridge, New Braunfels, Texas, 78132. The tract has many fine old oak trees and does not lie in a flood plain. Copper Ridge has a 24-hour gated and guarded entrance, a resort-style pool, a Texas-style pavilion with fireplace, BBQ, picnic tables, and tennis and basketball courts. Each lot has curbed streets and underground utilities. Tract #14653 is a picturesque 1.261 acre lot inside Cordova on Canyon Lake, a gated community just south of the Guadalupe River. This lot is part of the sold out Phase 1 portion of this subdivision and is only a few hundred yards away from the river’s edge and the 30-acre park available only to Cordova on Canyon Lake residents. The nearby towns of New Braunfels, Gruene and Boerne offer a multitude of unique hill country attractions including the famous Gruene Hall and Schlitterbahn Waterpark. There are wineries, golf courses, fishing, water sports, and other activities unique to this special area. Stay tuned for more aerial video footage of other VLB forfeited land tracts. Since 1946, Texas Veterans have been able to finance land purchases on favorable terms through the Texas Veterans Land Board (VLB). While the vast majority of Veteran borrowers keep current on their payments, a few must return land to the VLB. These forfeited land tracts are offered first to Texas Veterans and Military Members through Quarterly Online Forfeited Land Sales. Land that isn’t sold during these quarterly sales is made available for public purchase as part of the Ongoing Type II Forfeited Land Sale. VLB Land Loans are available for these specific land tracts to Veterans and Military Members at an interest rate of 7.25%, and to the general public at an interest rate of 8.25%. Detailed instructions on how to purchase Type II forfeited land can be found in our handy Type II Forfeited Land Sale Program Handbook. Your VLB land loan benefit can be used toward VLB Forfeited Land Tracts, or other properties of one acre or more, anywhere in Texas. If you have questions about bidding offline or online, please contact the VLB at 1–800–252–8387 or vlbinfo@glo.texas.gov. Click here to learn more about VLB land, home and home improvement loans.